Supreme Court Directions On DGP Appointment And Federalism. Straight to the point: Is the Supreme Court order dismissing the plea of some State Governments to implement their Police Law in respect of appointment of State Police Chief of their States a constitutionally acceptable one? Provisions of the Constitution raise its eyebrows and find difficult to digest the order. Some of the States started legislative exercise truly imbibing the tenor and tenets of Supreme Court order in Prakash Singh Case. The State of Kerala passed the Kerala Police Act 2011 which contains provisions for appointment of State Police Chief. Section 18(2) of the Kerala Police Act 2011 says that the State Police Chief shall be appointed by the Government from among the IPS officers in State Cadre who were promoted as Director General Police. 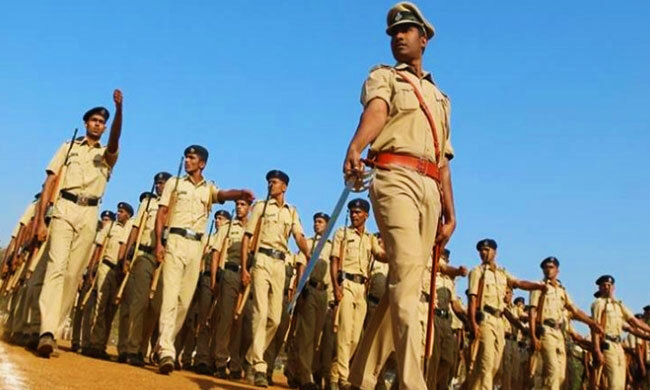 The ability to lead the police force of the State, history of service, professional knowledge and experience were catalogued as the parameters to be counted. Minimum tenure of two years is ensured under Section 97 in consonance with the judgment in Prakash Singh case. The requirement of preparation of panel of officers by the UPSC as commanded by the Apex Court was significantly absent which invited the rancour of the Apex Court in the proceedings followed. Questions cropped up in the follow-up judicial scrutiny are vital to the principles of 'separation of powers' and 'legislative federalism' envisioned and protected zealously under the constitution. True that Supreme Court made a judicial legislation on certain seminal provisions for immunising the police from political prowess which the archaic Police Act of 1861 did not provide for. But, is it appropriate for the Apex Court to arrogate to itself the authority of law making, once the legislative vacuum is filled up by the legislatures concerned after its verdict? Should the judicial legislation on a subject by Court be treated only as an 'adhoc legislation' for the interregnum, once the alerted legislature makes law in place of the 'judicial legislation' or should it be supplemented with the legislature made law even after that? Should the Act made by the legislature replacing the 'adhoc legislation' swallow the diktats of 'judicial legislation' in its entirety without deviations? If the answer is 'yes' for this last question, then would it not be a 'dictation' by judiciary on legislature about the contents and contours of the proposed Act? Definitely if the answers are affirmative, it won't auger well for 'separation of powers' and 'legislative federalism', the bedrock of governance in the Vision Document, the Constitution. See the 7th Schedule to the Constitution. Entry II, List II (State list) is the subject 'Police'. The subject, 'police', is one earmarked for legislation by the State legislatures. The framers of the Constitution were wise enough to understand the need for trained and adapted Police Force, with geographical and demographic features centric, for the effective management of law and order, crime investigation and deterrence. Area specific need and requirements of a police force can be well understood only by local governments and the uniform police law across the country would not be desirable, was the vision of the makers of the Constitution. The colonial relic, Police Act 1861, was a lesson for the framers. When the Apex Court issued general guidelines to be followed in unison across the country, the 'legislative federalism' which gives elbow room to the States for adapting and adopting its own law with region specific requirements gets endangered. Apex court's misadventures with general directions under Article 142 on subjects under State list at times causes much embarrassment to States, taking it to chaotic fall outs. The recent 'general guidelines' by Apex Court on 'distance rule' regarding liquor shops created much fuss and fun for the citizens to look at and for the States to waste its resources. The uniform set of rules for a Nation which abounds in diversity, that too on a State subject like 'liquor', is enough an indication for the Courts to introspect on 'judicial legislation'. Great circumspection be shown when undertaking judicial legislation on State subjects, at least with the courtesy of a full fledged hearings afforded to the State components of the Nation. True that the some States have made its own law on Police. 'Constitutional propriety' and also the recently coined 'constitutional morality' demand the law has to be tested on constitutional principles instead of 'keeping in abeyance' its provisions particularly when there is no challenge to it by anyone. Either test the validity of the legislation or to let it reign. The present malice on the piece of legislation for the reason that it does not contain the 'judicial prescription' of consultation with UPSC is an anathema to 'constitutional morality'. The coinage of the term is more suitable to condemn the present 'attitudinal adjudication' on matters between functionaries of Government and to keep the concerned within bounds. The Apex Court's obsession with its order on UPSC's role in the appointment of Police Chief is not aligning with the Articles of Constitution relating to State and Union Services. Have a look at Article 315 and 320 of the Constitution. The constitution envisages creation of Public Service Commission for the States and Union for appointments to its civil services and posts. The Constitution lists in seriatim functions of Public Service Commission of States and Union in Article 320. Article 320(3) further delineates with specificity about the functions such as methods appointment, principles to be followed in making promotions and transfers, suitability of candidates for appointments, promotions or transfers. Clear indication is there in Article 320(3) that the suitability for appointment, promotion and transfer shall be made by PSC of the State regarding State Civil Service and Civil posts and the UPSC for the Union services. This backdrop of constitutional provisions suggests that the Apex Court's direction for preparation of panel for Police Chief of the State by UPSC is against the constitutional scheme of appointment to services. Further, the constitutional provision in Article 315(4) is a pointer to the State autonomy recognised by framers of the constitution in the matters of appointment to State Civil Service. The intervention of the UPSC is permitted in the State appointments only when a request is made by the Governor of the State with approval of the President [(Article 315(4)]. Yet another constitutional imprimatur is also indicative of States autonomy in appointment process of its civil servants. Article 312 says that All India Services common to Union and States can created only by a resolution of the Council of States supported by not less than two-thirds of the members present and voting. The resolution, centric to council of States only, cements the say and authority of states even in the creation or amalgamation civil posts for Union and States. The dynamics of these constitutional provisions show the determination of Constituent Assembly to confer full autonomy to States in creation of civil posts and appointments thereto for its effective administration. Our constitution is a magnificent mansion with wise men's erudite masonry into it. With years running past, we contrived devices like 'basic structure', 'constitutional morality', 'transformative constitutionalism' for streamlining institutional aberration more often, but at times for making inroads into Parliamentary Supremacy. But 'structural alterations' attempted may disturb the 'Constitutional Architecture' which exercise may prove ominous to constitutional democracy. Let the edifice be there. Janitors may paint, conserve and spruce up but not demolish and rebuild.